People who are not experienced in installing, owning and using security systems often have a difficult time understanding the different components that are involved in a security system, but it is not difficult once you get the hang of it. One thing that trips many people up is the inclusion of a digital video recorder in most security systems. Since most people associate their television-watching with a DVR system, they often have a difficult time understanding how a digital video recorder can be used in order to keep their home or business safe. Digital video records, however, are one of the main components of a good surveillance camera system, so it is important to learn as much about them as you can before you purchase and install a system. A digital video recorder is basically any recorder that records digital video. To help you to understand exactly what a DVR is, take a look at your cable or satellite system. Many households have digital video recorders that are built into their cable or satellite boxes; this recorder is used to record favorite television shows, movies and other media off of the television. Once it is recorded, it is stored on the digital video recorder until it is ready for use, and you can then rewind, fast forward and pause the digital video whenever you like. This allows TV viewers to record their favorite programming when they are not home, and they can fast forward through commercials, rewind in order to rewatch a favorite part or can pause the TV while they run to the kitchen for some popcorn. In many ways, a digital video recorder is much like the VCRs of yesterday that had the capability of recording video. Just as many people recorded their favorite movies and TV shows on VHS tapes so that they could watch them later, a digital video recorder does the same job, but it does the job better. The digital video that is records is of a much higher quality. How are Digital Video Recorders Used For Security? 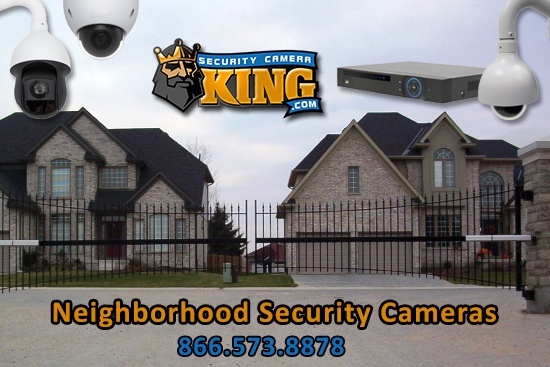 Similar to the digital video recorder that you use to watch your favorite shows over and over again, a digital video recorder that is hooked up to a security system is used to record your surveillance videos. It then stores this surveillance footage until you are ready to watch it, and it allows you to fast forward through uneventful footage, rewind to rewatch something that looks suspicious and pause to get a good look at what is going on on the screen. Although not all surveillance systems use a digital video recorder, many of them do. Not only does a digital video recorder work as a device that allows you to play back your surveillance tapes and to pause and control them when you need to, but it actually stores the digital video for you until you need to use it. These video recorders are often black in color, and they typically look much like the digital video recorder that you might have for your television or even like a VCR or DVD player. Who Should Use a Digital Video Recorder? Although digital video recorders are not required in order for you to have a successful surveillance camera system, they are suggested. Security cameras that are simply hooked up to monitors are practically useless because although they allow you to watch the footage in real time, this footage is not recorded or stored anywhere, so you cannot rewind it, even if you see something happen as you are watching. You also will not have any evidence to take to the police if something does happen, so you are almost as well off not to have a system at all than to have one that doesn’t record. Other people use their computer as a storage device for their digital video. This can work in some cases, especially if you purchase the right software for your computer. However, using a computer for this purpose can be a bit expensive, and it isn’t as convenient. In order to keep your video footage for the length of time that you should, you will need plenty of hard drive space on your computer, and you will be surprised by how quickly this hard drive space gets taken up by the massive video that your security cameras are streaming. It can also be inconvenient to use your computer as a monitor, particularly if you typically use your computer for work or pleasure. Most people who want to install a security camera system in their home or business could benefit from purchasing a good digital video recorder. These recorders are not very expensive, and they are worth their weight in gold when something does go wrong. What Are The Different Types of Digital Video Recorders? 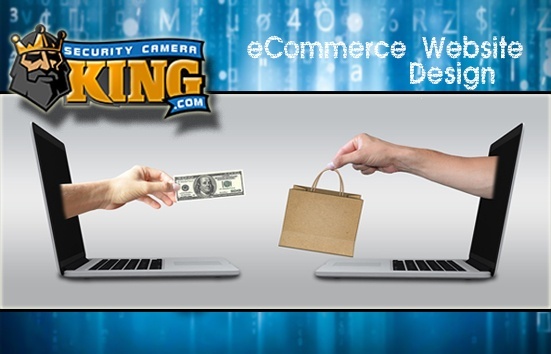 One aspect of purchasing digital video recorders confuses many purchasers. 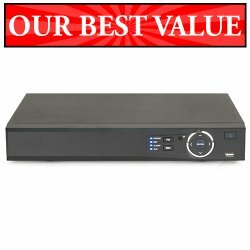 When looking at digital video recorders, you will notice that each one is described as allowing a certain number of channels, such as a “Four Channel DVR” or a “32 Channel DVR.” Many people are unsure of what this means, other than the fact that they notice that the price for a lower-channel DVR is typically much less expensive. The difference between these units, however, are not that difficult when you think about it in a TV-related way. What manufacturers are referring to when they mark their digital video recorders this way is the number of surveillance cameras that each system can be hooked up to, or how many “channels” your digital video recorder can pick up on, stream, record and store. For instance, a four-channel digital video recorder can only stream video from four security cameras, while a 32-channel digital video recorder can stream the video from up to 32 security cameras. One important decision that you must make before purchasing a system is how many security cameras you will need. This depends on the size of your home or business and the amount of surveillance that you would like to have, but it is usually better to go one size larger than you think you need rather than trying to get enough security out of a system that is too small. If you do unfortunately purchase a DVR that is too small, you are not stuck forever, however. If you realize that you do not have enough security with your existing system or if your needs grow and change over time, you can hook several digital video recorders up to one another in the future. However, it is usually a bit more expensive and a bit more frustrating in the long run if you do it this way, so it is better to purchase a large enough digital video recorder in the beginning. What Types of Features Do Digital Video Recorders Have? As with nearly electronic that you buy, different digital video recorders have different features. Some of these features are practically required in order for your system to be successful, while other features can typically be skipped for regular surveillance needs. You will typically have to pay a bit more for a digital video recorder that has plenty of special features, but you might want to fit a nice digital video recorder into your budget for the best results. One of the first and most important features that you should look into before purchasing a digital video recorder is the amount of space that it can hold. It is important that you purchase a digital video recorder than can store at least several months worth of surveillance video because you never know when you might need to look at old footage. It is usually best to spend a bit of extra money purchasing a digital video recorder that offers ample storage whether than trying to get by on a system that doesn’t provide enough space. You should also find out if the DVR allows you to hook up an external drive. It can be convenient to have the option to hook up a USB drive or an external hard drive in order to acquire additional space when you need it. In fact, some digital video recorders allow you to hook your device up to several external drives at once, which can be an added convenience. A lot of people like to purchase digital video recorders that allow them to burn CDs and DVDs. This additional feature typically does not cost much, but it could be very useful in certain circumstances. If something ever happens and you need video evidence as proof, it can be very handy to be able to burn a simple DVD to take to court or to the authorities. Some digital video recorders allow you to record sound as well as video. Although these features are not always common, they can be handy if needed. One handy feature, however, is the ability to watch the surveillance footage from your PC or smartphone when you are away from your digital video recorder. By using the right software, you can often monitor what is going on at your home or business, even if you are away. It is also important to take a look at the quality of video that the digital video recorder offers. High-quality video is typically worth the extra money because it allows you to see things clearly that you might not otherwise be able to see at all. Similar to taking a look at the picture quality of a digital camera, camcorder and even a television, the difference in picture quality can be huge between units, so take your time to select the best one that you can afford. How Do I Know Which Digital Video Recorder Is Right For Me? Every individual, home and business is different, so purchasing a digital video recorder and its accompanying security cameras is a personal matter. You can come to the conclusion of what you will need by measuring your property and determining how many surveillance cameras you will need in order to keep your property under constant surveillance; this will be the first step in choosing your new digital video recorder. Next, you should sit down and decide what features are important to you. Different people have different preferences and needs when it comes to features, so only you can answer the question of what you need. However, it is best to remember just how important the safety of yourself, your family, your employees and your property is not something to play around with, so you shouldn’t skimp on important features just to save a little bit of money. However, everyone’s budget is different, and there is surely a good digital video recorder out there that will be perfect for your needs without breaking your budget. Comparing different units is a good way to make sure that you are getting the most features for your money, and it can help you to make the smartest decision when purchasing a digital video recorder for your security needs. When in doubt, you can always ask for help when shopping for a digital video recorder. 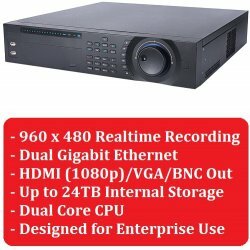 Someone from the company who is experienced in the different types of digital video recorders and other security system components will be more than happy to point you in the right direction, and they can probably answer any questions that you may have about the different digital video recorders that are available. Purchasing a digital video recorder for your surveillance needs is not a small decision, but it is a smart one. Make sure that you choose the digital video recorder that your security needs require to ensure that you are satisfied with your purchase and to ensure that you feel comfortable with the level of security at your home or business. if you have any questions or need further information, contact us, its a pleasure for us to help you.